With its genius Super Bowl blackout tweet/photo and live tweet-along of the Oscars, Oreo has been on a tear on social media lately. Now, in another attempt to go viral, Oreo uploaded onto its YouTube page a video of a Rube Goldberg machine that removes the creme from an Oreo cookie. 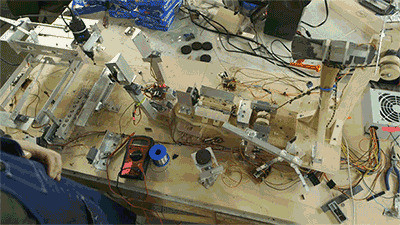 The overly complicated machine was created by physicist David Neevel, and it involves a hatchet to separate the Oreo cookie and a CNC router table that does away with the creme.